The New Yorkers are at it again. 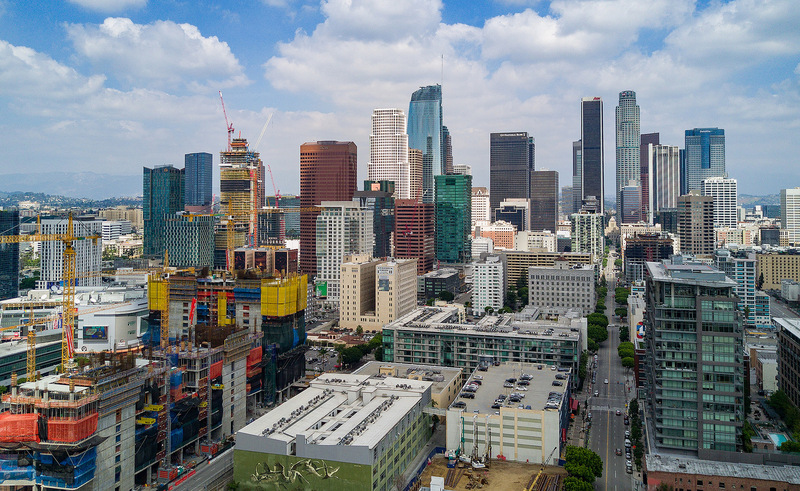 In the pages of the New York Times, two reporters—Tim Arango and Adam Nagourney—referred to Los Angeles as “A City That Never Quite Came Together.” That reminds me of that old chestnut about Los Angeles being seventy-five communities in search of a city. From the time I heard I was accepted by the UCLA Motion Picture History and Criticism graduate program, I scoured the Cleveland Public Library for books about Southern California. One of them wrote at great length about mudslides along the Pacific Coast Highway (California Route 1) in Pacific Palisades and Malibu, and posited a fictional type of super-salesman called a “Pro-Cal,” who regarded L.A. as the best of all places—diametrically opposed to the boo-birds from the East who were intent on digging up dirt about the Golden State. This kind of thinking negatively affected what I thought about L.A. when I first moved here in 1966. All those stucco apartment buildings painted in pastel colors struck me the wrong way. Why couldn’t they use good red brick, like we had in Ohio? Then I endured my first earthquake in 1971 and understood why they used stucco: It was the brick buildings that collapsed. Only in the 1970s that I began to actually like California. The fact that that coincided with the way I felt about myself was no accident. If I had to put my finger on what unites Houston and Los Angeles, it is a certain elusiveness as urban object. Both cities are opaque and hard to read. What is Houston? Where does it begin and end? Does it have a center? Does it need one? It’s tough to say, even when you’re there — even when you’re looking directly at it. The same has been said of Los Angeles since its earliest days. Something Carey McWilliams noted about L.A. in 1946 — that it is a place fundamentally ad hoc in spirit, “a gigantic improvisation” — is perhaps even more true of Houston. Before you can pin either city down, you notice that it’s wriggled out of your grasp. People who are accustomed to making quick sense of the world, to ordering it into neat and sharply defined categories, tend to be flummoxed by both places. And reporters at the New York Times are certainly used to making quick sense of the world. If there’s one reason the paper keeps getting Los Angeles so spectacularly wrong, I think that’s it. Smart, accomplished people don’t like being made to feel out of their depth. Los Angeles makes out-of-town reporters feel out of their depth from their first day here. This is not a city on a hill, such as can be found in Tuscany. You can’t just take it in at a glance and say, “Yeah, this is Los Angeles, all right!” I like to surprise visitors with forays to ethnic enclaves like Koreatown, Little Tokyo, and East Los Angeles (or “East Los”). Then there are mountains within the county boundaries that are two miles high. The fact that there are mountains here at all is a surprise to most people. L.A. no longer wriggles out of my grasp. I recognize it as a conglomeration of landscapes, cultures, and even architectures. So don’t think you can spend an afternoon on the Sunset Strip or the Bel Air Hotel and think you’ve scoped out the city: You haven’t even begun.